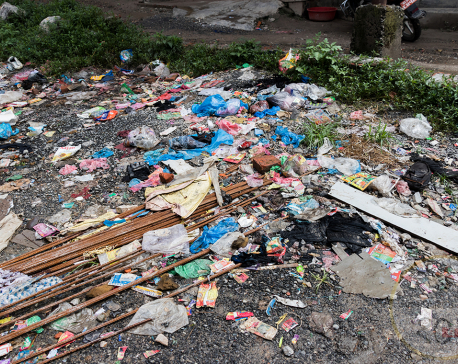 KATHMANDU, July 21: As much as 26 metric tons of waste was managed in course of cleaning the rivers and the Ring Road area in the Kathmandu Valley today. KATHMANDU, June 23: As much as 24 metric tons of waste has been collected from different places of the Kathmandu Valley today. 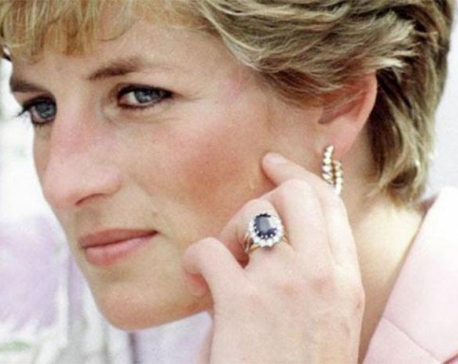 PRINCESS DIANA was most famous during her lifetime for marrying Prince Charles, and her engagement ring from the Prince sparked a range of copycats. Her daughter-in-law Kate Middleton now wears the late royal’s ring. After her divorce Diana took to wearing another ring on her ring finger. An expert revealed to Express.co.uk what the gem was, and what it means. KATHMANDU, July 11: In view of the mounting traffic congestion during the rush hours in the Kathmandu Valley, the government has planned to ban tippers, trucks and mini trucks along the ring road from 9:00am to 11:00pm and from 4:00pm to 7:00pm from Wednesday. 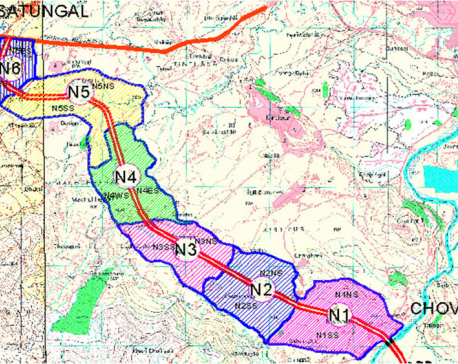 KATHMANDU, May 27: A total of 35 metric tonnes of garbage was extracted from Kathmandu valley-based major rivers and Ring Road area. KATHMANDU, April 29: As high as 50 metric tonnes of wastes has been managed after the clean up campaigns in the Ring Road and Kathmandu valley's major rivers conducted on Saturday. 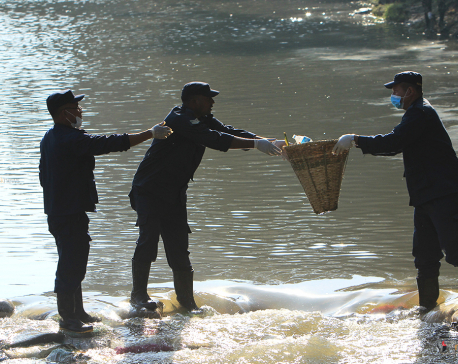 KATHMANDU, April 15: A Ring Road cleanup campaign has been launched along the ring road as part of Bagmati cleanup campaign from today. The ring road cleanup campaign was organized to extend the cleanup campaign outside the river as well. Saraswati Adhikari was trafficked to India from her village in Hetauda, Nepal when she was just nine years old and forced to train and perform in a traveling circus. Her parents searched high and low for her but she could only be reunited with her mother after a decade, following her rescue seven years ago. Her father had passed away by then, and she had had three children already. 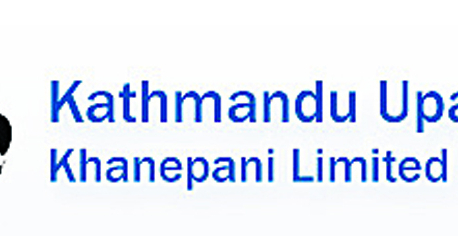 KATHMANDU, March 5: The Kathmandu Upatyaka Khanepani Limited (KUKL) is to supply water from the Melamchi Water Supply Project to the households outside the Ring Road as well. KUKL General Manager Dr Mahesh Prasad Bhattarai shared this at the fifth annual general meeting of the KUKL here Sunday. JHAPA, Dec 28: Like other events of the Seventh National Games, pugilists of the departmental giant Tribhuvan Army Club dominated the ring winning five gold medals on Wednesday. 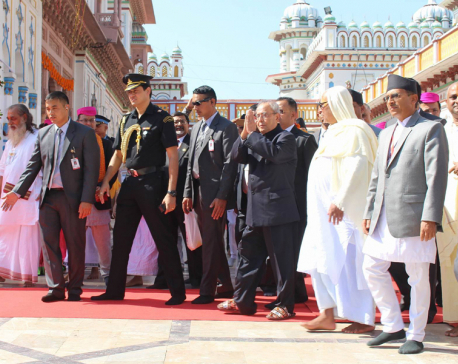 JANAKPUR, Nov 4: President of India, Pranab Mukherjee, who is on a three-day state visit to Nepal, attended a civic reception by the Janakpur residents.